Settlers of this area that now encompasses Colorado's Gold Belt Tour Scenic Byway had written “Pikes Peak or Bust” on the side of their wagons — a sign of their optimism for gold and the desperation they felt after crossing America’s frontier. 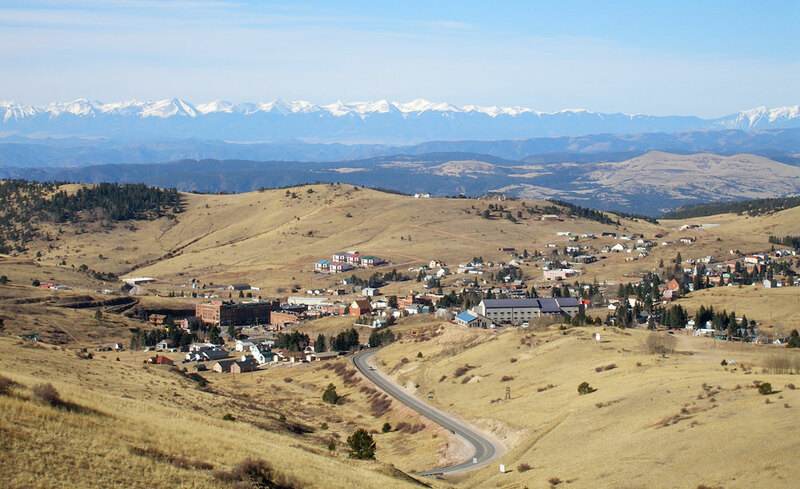 What a handful of them found in Cripple Creek, Victor and the hills surrounding these two towns ended up being Colorado’s biggest gold payload. 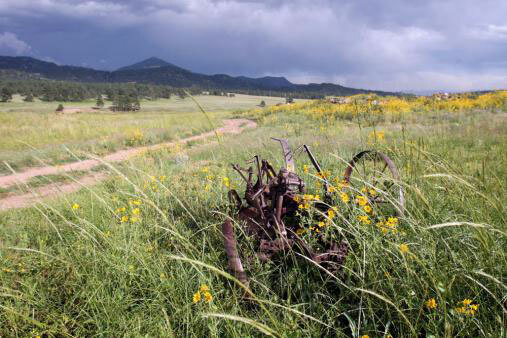 • Start your tour of the Gold Belt in Florissant, and head south on County Road 1 into the Florissant Fossil Beds National Monument. Preserved in this wild landscape are fossils from an ancient ecosystem dating back 34 million years ago. Petrified redwoods, fossilized palms and images of strange insects etched in stone enthrall nearly 65,000 visitors a year. • Beyond the national monument, County Road 1 leads you to Cripple Creek — one of Colorado’s gaming destinations — and Victor. Both Cripple Creek and Victor lie in a belt of heavy mining activity. At one time, it was regarded as the most productive gold-mining area in the world. Today, you can enjoy tours of old mines, as well as view active operations. 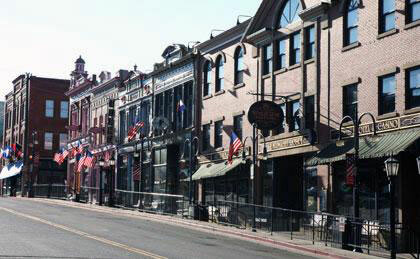 • To the south of Victor, you'll encounter the first rough roads as they descend Phantom Canyon. Look carefully on the rocky outcroppings of the canyon for camouflaged bighorn sheep, the state animal. Eventually, you will reach U.S. Hwy. 50 and Cañon City. From here, the Gold Belt Tour heads back up into the hills via the rugged and more desert-like Shelf Road. • Back in Cripple Creek, you can either end your tour or proceed back to the Florissant Fossil Beds National Monument for an extension of the drive that loops back to Cañon City. Please note: Four-wheel-drive is required to navigate certain stretches of the Shelf Road and Phantom Canyon, and those with trailers and RVs are discouraged from driving the complete route.